Roofing Problems? Snap Construction is Here to Help! When was the last time you had a roof inspection done? With busy lifestyles, it can be easy to forget to have a professional check the condition of your roof. Sometimes it gets to the point that some homeowners will notice that their roof has a problem is when it starts leaking. Depending on the severity of the leak and how long it has been going on, there can be a lot of damage. 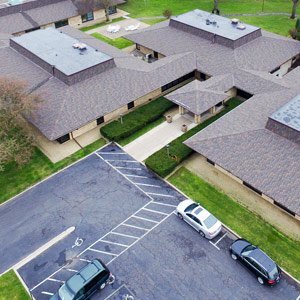 This is why you should consider Hire Roofing Companies in Bloomington MN. Finding a reputable contractor is necessary. If you live in Bloomington, we are located in Bloomington and are a full-service construction company. We have roofing teams who can help in roof installation and inspection. We also offer services such as insulation, storm damage restoration, siding and insulation. Snap Construction is a reputable roofing contractor bloomington and offers quality services. We have helped many homeowners in their home improvement projects. We are fully licensed in our trades and our teams are trained to offer the best roofing services. Our contractors are certified and have been educated and through thorough training. If you intend to sell your home in the future, you should consider repairing or replacing the roof if it is an older roof or has any storm damage. A new roof will help increase the value of your home. Besides roofing, we also offer other services such as remodeling and other exterior services like siding and windows. 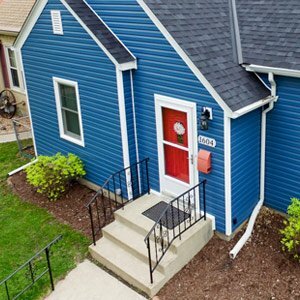 Replacing your roof, siding, doors, or windows can make a big difference in the appearance of your home and overall curb appeal. If you notice that your roof is leaking, call a professional so that they can inspect the area and repair the leak. Rain and melting snow in the spring season can cause your roof to leak if it nearing the end of its life or has any damage. Roofing requires trained professionals and the tools to complete the job. Our crews are prepared to re-roof your home smoothly and efficiently. Many home improvement projects are time consuming. Some projects can be overwhelming and stressful. This is why many homeowners call professionals to do the job for them. Our team is ready to help you with your next home project! With Snap, it’s that easy and we guarantee our work for life. Our phones are answered 24/7 and are prepared to help if you need services quickly. We service the Twin Cities metro area and surrounding suburbs. Our field representatives can schedule appointments 7 days of the week with flexible hours to meet your schedule. We truly value our customers. If your roof has any issues, give us a call for a FREE roof inspection and estimate. If you want to know more about us, visit www.snapconstruction.com. Continue reading about Insulation Minneapolis.